Hal Linden (born Harold Lipshitz, March 20, 1931) is an American stage and screen actor, television director and musician. Linden began his career as a big band musician and singer in the 1950s. After a stint in the United States Army, he began an acting career where he first worked in summer stock and off-Broadway productions. Linden found success on Broadway when he replaced Sydney Chaplin in the musical Bells Are Ringing. In 1971, he won a Best Actor Tony Award for his portrayal of Mayer Rothschild in the musical The Rothschilds. In 1974, Linden landed his best-known role as the title character in the television comedy series Barney Miller. The role earned him seven Primetime Emmy Award and three Golden Globe Award nominations. During the series' run, Linden also hosted two educational series, Animals, Animals, Animals and FYI. He won two special Daytime Emmy Awards for the latter series. Linden won a third Daytime Emmy Award for a guest-starring role on CBS Schoolbreak Special in 1995. Linden has since continued his career on the stage, in films and guest-starring roles on television. He released his first album of pop and jazz standards, It's Never Too Late, in 2011. 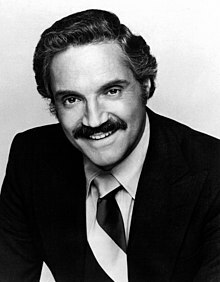 Hal Linden was born on March 20, 1931, in The Bronx. He is the youngest son of Frances (née Rosen) and Charles Lipshitz, a Lithuanian Jew who emigrated to the United States in 1910 and later owned his own printing shop. His older brother, Bernard, became a professor of music at Bowling Green State University. Linden attended Herman Ridder Junior High School and the High School of Music and Art, going on to study music at Queens College, City University of New York. He later enrolled in Baruch College and then City College of New York where he received a Bachelor of Arts in business. During his youth, Linden aspired to be a big band singer and bandleader. Before embarking on a career in music, he decided to change his name stating, "'Swing and Sway with Harold Lipshitz' just didn't parse." While driving through the town of Linden, New Jersey, he saw the name LINDEN on the water tower and Harold Lipshitz changed his name to Hal Linden. During the 1950s, he toured with Sammy Kaye, Bobby Sherwood, and other big bands of the era. Linden played the saxophone and clarinet and also sang. He enlisted in the United States Army in 1952 where he was sent to Fort Belvoir and played in the United States Army Band. While in Fort Belvoir, a friend recommended that he see the touring production of Guys and Dolls playing in Washington, D.C. After seeing the show, Linden decided to become an actor. He was discharged from the army in 1954. Linden found success after replacing Sydney Chaplin in the Broadway production of Bells Are Ringing in 1958. He made a further breakthrough on the New York stage in 1962 when he was cast as Billy Crocker in the revival of Cole Porter's Anything Goes. Linden's career slowed in the 1960s. During this time, he dubbed English dialogue for various foreign films, did voiceover work for commercials and sang jingles. His career was revived in the 1970s when he was cast as Mayer Rothschild in the 1971 musical The Rothschilds. The role earned him a Tony Award for Best Actor in a Musical. In 1973, he co-starred opposite Tony Lo Bianco in the NBC television film Mr. Inside/Mr. Outside. The film was intended to be the pilot for a proposed series but was not picked up by the network. In 1974, Linden landed the starring role in the ABC television police comedy Barney Miller. He portrayed the eponymous captain of the beleaguered 12th Precinct in bohemian Greenwich Village, dealing with mordant wit, compassion, and occasional frustration at the comedy-of-manners misfits brought in for arrest or questioning, or who came to lodge a complaint or stop by on bureaucratic business or to just say hi. He earned seven Emmy Award nominations for his work on the series, one for each season. Linden also earned four Golden Globe Award nominations for Best Actor in a Musical or Comedy. The series aired from 1975 to 1982. Linden later said that leaving Broadway to work on Barney Miller was his most irrational act and also one of his best decisions. During the run of Barney Miller, Linden served as the narrator and host of the ABC children's shows Animals, Animals, Animals and FYI. 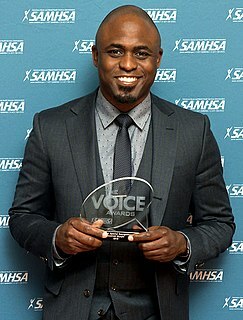 He won two Daytime Emmys for Outstanding Individual Achievement for his host work on FYI. in 1984 and 1985. After Barney Miller ended its 7 year run in 1982, Linden appeared in several television films including I Do! I Do! (1982), the television adaptation of the musical of the same name, and Starflight: The Plane That Couldn't Land (1983). Also in 1982, he was the producers' first choice for the starring role of Dr. Donald Westphall in St. Elsewhere, when the role was immediately given to Ed Flanders, because he wanted to take a break from television. In 1984, he costarred in the television film Second Edition. The film was intended to be a series but was not picked up by CBS. The following year, Linden portrayed studio head Jack L. Warner in the television biopic My Wicked, Wicked Ways: The Legend of Errol Flynn. In 1986, Linden returned to episodic television in the NBC series Blacke's Magic. He played the lead character, Alexander Blacke, a magician who solves mysteries with the help of his father Leonard (Harry Morgan), a retired carnival magician and sometimes confidence man. The series was canceled after 13 episodes. In 1988, he co-starred in the romantic comedy A New Life, directed by Alan Alda. In 1992, Linden tried his hand at television again with the leading role in the comedy-drama series Jack's Place. In the series, Linden portrayed Jack Evans, a retired jazz musician who ran a restaurant that was frequented by patrons who learned lessons about love. The show was often compared to The Love Boat by critics as it featured a different weekly guest star. The series premiered as a mid-season replacement but did well enough in the ratings for ABC to order additional episodes. Viewership soon declined and ABC chose to cancel the series in 1993. The next year, Linden appeared in the CBS sitcom The Boys Are Back. That series was also low rated and canceled after 18 episodes. In 1995, Linden won his third Daytime Emmy Award for his 1994 guest-starring role as Rabbi Markovitz on CBS Schoolbreak Special. In 1996, Linden had a supporting role in the television film The Colony, opposite John Ritter and June Lockhart. The role was a departure for Linden as he played the villainous head of a home owner's association of a gated community. In 1999, he had a guest role in the last The Rockford Files reunion TV movie, The Rockford Files: If It Bleeds... It Leads. He continued his career in the late 1990s and 2000s with guest roles on Touched by an Angel, The King of Queens, Gilmore Girls, Law & Order: Criminal Intent, and Hot in Cleveland. He also narrated episodes of Biography and The American Experience, and voiced the role of "Dr. Selig" on the animated series The Zeta Project. In 2002, Linden received a Golden Palm Star on the Palm Springs, California, Walk of Stars. Linden continues to have an active stage career. He appeared in the Toronto production of Tuesdays with Morrie in 2009. In July 2011, he appeared opposite Christina Pickles in the Colony Theatre's production of On Golden Pond. Linden also starred in Under My Skin, which premiered at the Pasadena Playhouse on September 19, 2012 and ran through October 2012. In 2013, Linden guest-starred in a season eight episode of Supernatural as a rabbi. In 2014, Linden guest-starred in an episode of comedy series 2 Broke Girls. In 2015, he appeared at the Old Globe Theatre in the West Coast premiere of The Twenty Seventh Man starring as Yevgeny Zunser. After the success of Barney Miller, Linden decided to revive his music career with a nightclub act. In his act, Linden plays the clarinet, performs pop and Broadway standards backed by a big band, and discusses his life and career. He has continued touring with various nightclub and cabaret acts since the early 1980s. In March 2011, he began touring with his cabaret show An Evening with Hal Linden: I'm Old Fashioned. The show, which ran through 2012, was later released on DVD. In April 2011, Linden released his first album, It's Never Too Late. The album features a collection of jazz, Broadway and pop standards that Linden began recording around the time he was touring in the early 1980s. Due to a lack of interest, he shelved the songs. Linden decided to finish the album on the advice of his tour booker. Linden is the spokesman for the Jewish National Fund, a position he has held since 1997. Linden met dancer Fran Martin while doing summer stock in 1955. They married in 1958 and had four children. Martin died in 2010. 1960 Bells Are Ringing Singer of "The Midas Touch"
1957 Producers' Showcase Episode: "Ruggles of Red Gap"
1963 Car 54, Where Are You? Assistant DA Clark Episode: "Joan Crawford Didn't Say No"
1972 Circle of Fear David Wells Segment: "Elegy for a Vampire"
1976 The F.B.I Abel Norton "The Confession"
1990 The Ray Bradbury Theater Captain Black Episode: "Mars Is Heaven"
1991 The Golden Girls John Episode: "What a Difference a Date Makes"
1994 American Experience Narrator Episode: "America and the Holocaust: Deceit and Indifference"
1994 CBS Schoolbreak Special Rabbi Markovitz Episode: "The Writing On the Wall"
1996 Nowhere Man Senator Wallace Episode: "Gemini"
1998 Biography Narrator Episode: "Confucius: Words of Wisdom"
1999 The Nanny Maury Sherry Episode: "California, Here We Come"
1999 The Drew Carey Show Mr. Van Zandt Episode: "Brotherhood of Man"
2000 Rude Awakening Judge Howard Barrett Episode: "Judging Billie"
2002 Gilmore Girls Chad Episode: "There's the Rub"
2002 The Zeta Project Dr. Selig (Voice) Episode: "The Hologram Man"
2003 Law & Order: Criminal Intent Mr. Turner Episode: "Suite Sorrow"
2004 Will & Grace Alan Episode: "A Gay/December Romance"
2005 Huff Judge Bork Episode: "The Sample Closet"
2005 The King of Queens Bernard Episode: "Catching Hell"
2006 Living With Fran Hal Episode: "The Whole Clan with Fran"
2010 Hot in Cleveland Alex Episode: "Meet the Parents"
2012 NTSF:SD:SUV:: C.T. Dalton Episode: "Prairie Dog Companion"
2013 The Mindy Project Manny Episode: "Mindy's Brother"
2013 Supernatural Rabbi Isaac Bass Episode: "Everybody Hates Hitler"
2014 2 Broke Girls Lester Episode: "And the New Lease on Life"
2016 Royal Pains Dr. Whitcomb Episode: "Saab Story"
2018 Law & Order: Special Victims Unit Leonard Maxwell Episode: "Mama"
^ Postal, Bernard (September 27, 1975). "Postal Card". The New York Jewish Week. p. 19. ^ Current Biography Yearbook. H. W. Wilson Company. 1987. p. 364. ^ Bradley, Betsy (December 11, 1990). "Herman Ridder Junior High School (Public School 98)" (PDF). Landmarks Preservation Commission. p. 10. ^ Bordman, Gerald; Hischak, Thomas S. (2004). The Oxford Companion to American Theatre (Third ed.). Oxford University Press. p. 389. ISBN 978-0195169867. ^ a b Schleier, Curt (August 14, 1998). "It's Easy Being Green: Hal Linden has played 'old' before, so taking over for Eli Wallach as the cranky octogenarian in 'Visiting Mr. Green' is a natural". The New York Jewish Week. p. 30. ^ Zosky Proulx, Brenda (July 19, 1982). "'Barney Miller's' Hal Linden is his own toughest critic". Montreal Gazette. Retrieved February 8, 2013. ^ a b Pfefferman, Naomi (December 13, 2001). "Barney Miller and Big Band". The Jewish Journal of Greater Los Angeles. Retrieved February 8, 2013. ^ a b c d Lovece, Frank (February 10, 1993). "Hal Linden patrols a new precinct". Waycross Journal-Herald. p. P–5. Retrieved February 8, 2013. ^ a b Stewart, Zan (May 17, 1996). "Hal Linden: Song and Dance (and Clarinet) Man". Los Angeles Times. Retrieved February 8, 2013. ^ a b Sharbutt, Jay (March 29, 1978). "Getting to the top wasn't in Hal Linden's career plan". St. Petersburg Times. p. 3D. Retrieved February 8, 2013. ^ Everett, William A.; Laird, Paul R. (September 17, 2009). The A to Z of the Broadway Musical (94 ed.). Scarecrow Press. p. 300. ISBN 978-0810870444. ^ Roberts, Jerry (June 5, 2009). Encyclopedia of Television Film Directors. 1. Scarecrow Press. p. 207. ISBN 978-0810863781. ^ Lavin, Cheryl (April 26, 1987). "Up Front: First Person". The Baltimore Sun. p. SM2. ^ "Fun Facts About St. Elsewhere". PopCulturePassionistas.com. August 17, 2015. Retrieved February 16, 2018. ^ McAlister, Nancy (May 22, 1992). "Welcome to "Jack's Place"". The Vindicator. Youngstown, Ohio. Retrieved February 8, 2013. ^ Margulies, Lee (May 22, 1995). "`General Hospital' Leads the Field in Daytime Emmys Television: CBS takes most awards, and several long-running serials make strong showings". Los Angeles Times. p. 5. ^ "Hal Linden will fill a rare villain role". Reading Eagle. May 1, 1995. p. A10. Retrieved February 8, 2013. ^ Hetrick, Adam (February 10, 2009). "Hal Linden to Star in Toronto Production of Tuesdays with Morrie". Playbill. Archived from the original on November 5, 2013. Retrieved February 8, 2013. ^ a b Behrens, Deborah (July 27, 2011). "Hal Linden and Christina Pickles Summer On Golden Pond". Los Angeles Times. Retrieved February 8, 2013. ^ Jones, Kenneth (August 14, 2012). "Hal Linden, Megan Sikora, Matt Walton, Erin Cardillo Among Stars of Under My Skin Premiere at Pasadena Playhouse". Playbill. Archived from the original on November 5, 2013. Retrieved February 8, 2013. ^ "Latest News". Old Globe Theatre. February 25, 2015. Archived from the original on 2015-02-27. ^ "Hal Linden Never Says No". The Milwaukee Journal. April 8, 1979. Retrieved February 8, 2013. ^ King, Susan (May 20, 2011). "Hal Linden can still hold a note". Los Angeles Times. Retrieved February 8, 2013. ^ Cohen, Erin (September 17, 2004). "Linden turned an 'interest into a passion' with JNF". Wisconsin Jewish Chronicle. Archived from the original on September 21, 2013. Retrieved February 8, 2013. 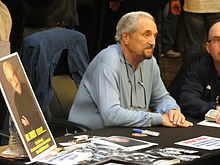 Hal Linden (2001). Tony Memory: Hal Linden (Video). American Theatre Wing. Event occurs at 00:00:00-00:02:37 (inclusive). Archived from the original (.SWF) on 2007-04-23. Retrieved 2008-06-06. Henry Franklin Winkler OBE is an American actor, comedian, director, producer, and author. He played the role of greaser Arthur "Fonzie" Fonzarelli, the breakout character of the 1970s American sitcom Happy Days. He also starred as Sy Mittleman on Adult Swim's Childrens Hospital, and as Eddie R. Lawson on USA Networks's Royal Pains. Winkler also had notable guest-starring roles on Arrested Development as Barry Zuckerkorn and Dr. Saperstein on Parks and Recreation. In 2018, he began appearing as Gene Cousineau on the HBO comedy Barry. Anthony Marcus Shalhoub is an American actor. Jeffrey Michael Tambor is an American actor and voice actor. He is known for his television roles such as Hank Kingsley on The Larry Sanders Show (1992–1998), George Bluth Sr. and Oscar Bluth on Arrested Development and Maura Pfefferman on Transparent (2014–2017). Adam Arkin is an American television, film and stage actor, and director. He played the role of Aaron Shutt on Chicago Hope. He has been nominated for numerous awards, including a Tony as well as three primetime Emmys, four SAG Awards, and a DGA Award. In 2002, Arkin won a Daytime Emmy for Outstanding Directing in a Children's Special for My Louisiana Sky. He is also one of the three actors to portray Dale "The Whale" Biederbeck on Monk. Between 2007 and 2009, he starred in the NBC drama Life. Beginning in 1990 he had a guest role on Northern Exposure playing the angry paranoid Adam, for which he received an Emmy nomination. In 2009, he portrayed villain Ethan Zobelle, a white separatist gang leader, on the FX original series Sons of Anarchy. Lloyd Vernet "Beau" Bridges III is an American actor and director. He is a three-time Emmy, two-time Golden Globe and one-time Grammy Award winner, as well as a two-time Screen Actors Guild Award nominee. Bridges was awarded a star on the Hollywood Walk of Fame on April 7, 2003, at 7065 Hollywood Boulevard for his contributions to the television industry. He is the son of actor Lloyd Bridges and elder brother of fellow actor Jeff Bridges. Kathleen Noone is an American actress. She began her career as a singer in nightclubs and performed in musicals in off-Broadway stage, before making her television debut in the CBS daytime soap opera, As the World Turns (1975–76). Leslie Allen Jordan is an American actor and playwright. He is best known for his roles as Lonnie Garr in Hearts Afire, Beverly Leslie in Will & Grace and several different characters in the American Horror Story franchise. One of his best-known onstage performances was in Sordid Lives, where he played Earl "Brother Boy" Ingram, a role he took to the big screen in the popular cult film of the same name. He currently can be seen on T.V. playing Sid in The Cool Kids. Christina Pickles is a British-American actress. She is known for her role as Nurse Helen Rosenthal in the NBC medical drama St. 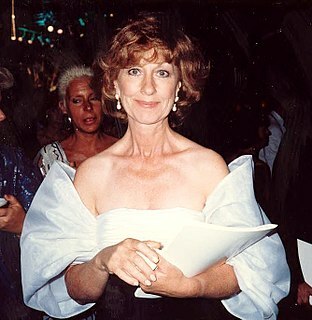 Elsewhere (1982–88), for which she received five nominations for the Primetime Emmy Award for Outstanding Supporting Actress in a Drama Series. She is also known for her recurring role as Judy Geller on the NBC sitcom Friends (1994–2003), for which she was nominated for the 1995 Primetime Emmy Award for Outstanding Guest Actress in a Comedy Series. Jesse Lee Soffer is an American actor. He is known for his role as Will Munson on the CBS soap opera As the World Turns for which he received three Emmy nominations. Since 2014, he has starred as Det. Jay Halstead on the NBC drama Chicago Fire, in a recurring role, and its police procedural spin-off Chicago P.D., as part of the main cast. He is also known for his role as Bobby Brady in the comedy The Brady Bunch Movie and its sequel A Very Brady Sequel. Van Hansis is an American actor. Hansis portrayed Luke Snyder on the CBS soap opera As the World Turns from December 14, 2005 until the show's final episode September 17, 2010. The son of long running characters on the series, Luke is known for a gay romantic storyline cited as one of the first in American daytime television. Valerie Mahaffey is an American TV actress and producer. 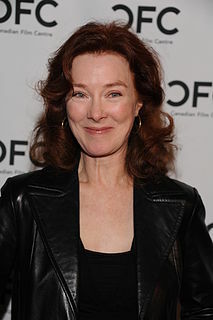 She won an Emmy Award for her work on Northern Exposure. She later won fame through her portrayal of extroverted and friendly but ultimately insane women on the television shows Wings, Desperate Housewives and Devious Maids.